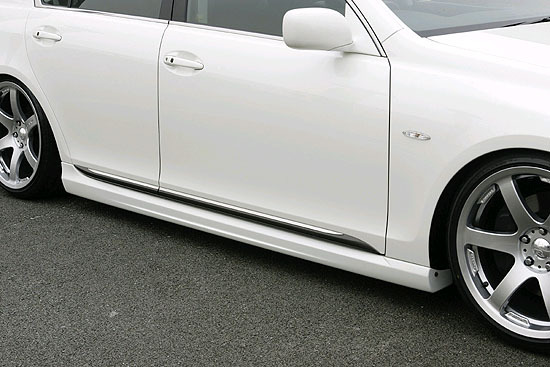 INGS Side Step is made from only the highest quality materials and is designed for unparalleled fitment and original styling. The Hybrid Aero fiberglass material is unmatched in the industry. It has all the positive characteristics of traditional fiberglass (lightweight, easy to repair, holds shape well) as well as the flexibility and durability of materials such as plastic or urethane. 1) Impact durability characteristic which cannot be obtained in the conventional FRP material is secured by a special resin mixing. 2) Durability degradation from aging is a concern in urethane. In our own endurance tests, we have cleared this concern at a high level. 3) The hybrid material maintains the degree of constructional freedom as large as that of FRP material. 4) The weight, which is one of the most important elements as the functional performance parts, is as light as FRP material. 5) Just like FRP material, the hybrid is easily repaired when it is damaged. Degree of freedom of construction it as well as the FRP material is large.